Why should cakes have all of the fun! 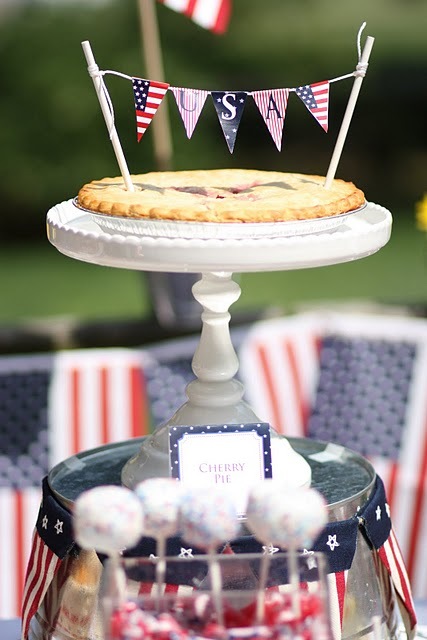 I love this patriotic pie pennant garland from Her Royal Heinous that I saw over on Pizzazzerie. The entire budget friendly patriotic party is beyond cute. You can check out the rest of it HERE.